Karin helps nonprofits use Google's mapping tools for their work, focusing much of her work on helping them with visualization GIS data in the tools, as well as getting better imagery for the areas where they work, including high-resolution aerial and satellite imagery and ground-level Street View imagery. 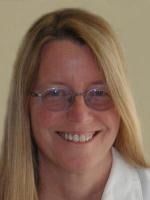 Tanya Birch is a Program Manager at Google Earth Outreach. With an academic background in Geography and Environmental Studies at the University of California at Santa Barbara, she has been part of Google Earth Outreach for 6 years and at Google for 10 years. Prior to Google, she researched human elephant conflict in Sri Lanka with the Sri Lanka Wildlife Conservation Society. At Google, she's applied her experience working with mapping for the non-profit sector to helping public benefit organizations learn to use Google's powerful mapping tools and Android mobile technology to further their missions. 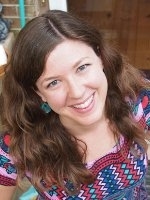 Allie Lieber is the new grants program manager on the Google Earth Outreach team. She has been on the team for almost a year and has helped many nonprofits use maps as a platform to share their story with the world. Before Allie joined Google Earth Outreach, she was on the AdWords team, helping small and medium sized business optimize their online advertising. Dave Thau helps scientists, NGOs, and other partners build software and algorithms that run on Earth Engine, Google's geo analysis platform. 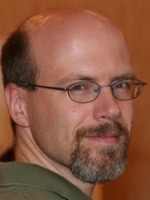 Prior to joining Google, Dave worked for many years helping ecologists and biodiversity researchers integrate their systems into distributed collaborative networks. 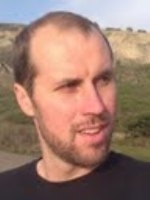 Tyler is a developer advocate working on the Earth Engine geospatial analysis platform. In this roll he helps institutions and individual partners understand and utilize the capabilities of Earth Engine and related geospatial tools. Prior to joining Google, Tyler worked in academia leading projects on geospatial analysis, visualization, and the design of geospatial data systems. He is also the former technical committee chair of AmericaView, a non-profit consortium of remote sensing scientists that support applied research, higher education, and technology transfer. 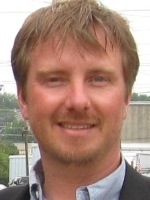 Brian Sullivan is a member of Earth Outreach and the Oceans teams. This is a very good fit because he is a sucker for environmental issues and an avid scuba diver for fun, research, and food. Before joining Google in 2007 he managing digital divide programs in West Africa, some technical positions, and a few years of strategy consulting for financial services. Various attempts to forage and live off the land in survival situations have been met with mixed success but were always enlightening. Nothing beats a Buttered Porcupine Fajita Ash Cake when you are hungry! 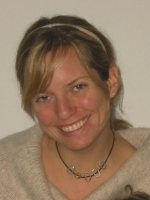 Based in California, Vanessa Schneider's been with Google for almost three years, working on outreach for Google Maps. Before becoming a Googler, Vanessa worked at The New York Times for several years as a community specialist, Time Inc. as a researcher and reporter, and at New York startup Hot Potato, acquired by Facebook in summer 2010. Josh is a Senior Developer Programs Engineer at Google, focused on enabling developers to tell compelling stories using the Google Maps API's. As you read this, he's probably writing code, thinking about snowboarding, or both. Jessica leads Map Maker Community Development efforts at Google and works with citizen cartographers to get the places they know and love onto Google Maps. Since joining Google over 7 years ago, she has worked with Google's Earth Outreach, Disaster Response, and Emerging Markets teams to ensure that traditionally underrepresented parts of the world get mapped. Jessica received her bachelor's degree from Wesleyan University in Earth & Environmental Sciences. Evan is a Product Manager for Google Maps, including several photography products such as Street View, Views, Panoramio, and Photo Sphere. He loves photography and creating products that help people share their stories through pictures and maps. Before joining Google, he lived in Honolulu, Hawaii where he worked on projects sponsored by DARPA, NSF, and NOAA. This included storytelling products for outdoor adventurers, K-12 educational tools for oceanography and environmental stewardship, and brain-computer interfaces for severely disabled people. Evan also loves hiking, standup paddling, and the ocean. Brian McClendon is an electrical engineer, a software architect and an avid photographer. He built computer graphics software and hardware at Silicon Graphics before co-founding Keyhole in 2000. Keyhole was purchased by Google in 2004, and later became known as Google Earth. Brian is currently a Google Vice President of Engineering, responsible for geo-products including Google Maps, Google Earth, and Street View. 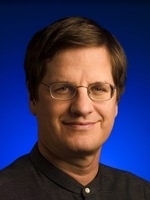 Louis Perrochon is an Engineering Director at Google and he currently leads the team that builds Google's geospatial products for businesses, governments and non-profits. These products enable you to put "your data on the Google map" and include Google Earth, Google Maps Engine and Google Earth Engine. His team also processes all aerial and satellite imagery for Google Earth and Google Maps. Previously, he has been leading Engineering for YouTube, which processes over 72 hours of video per minute and serves over 4 billion videos a day. 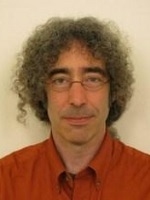 His academic credentials include a PhD in Computer Science from the Swiss Federal Institute of Technology and 3 years post-doctoral research at Stanford University.